Jumpin’ Jivers. Client since 1995. 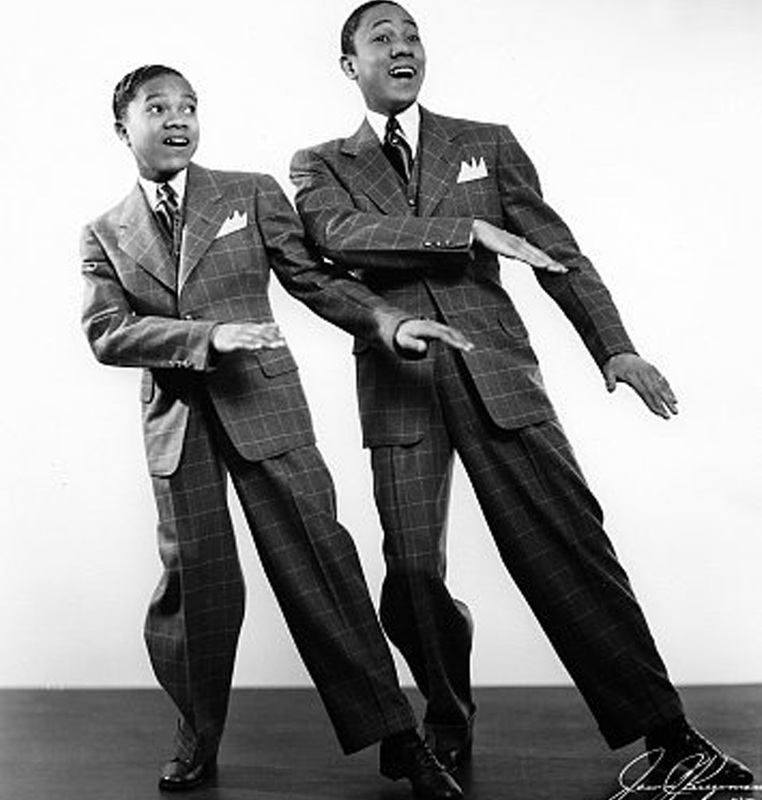 Fayard and Harold Nicholas constituted what was, without a doubt, the most talented and spectacular power tap-dancing duo in the history of show business. 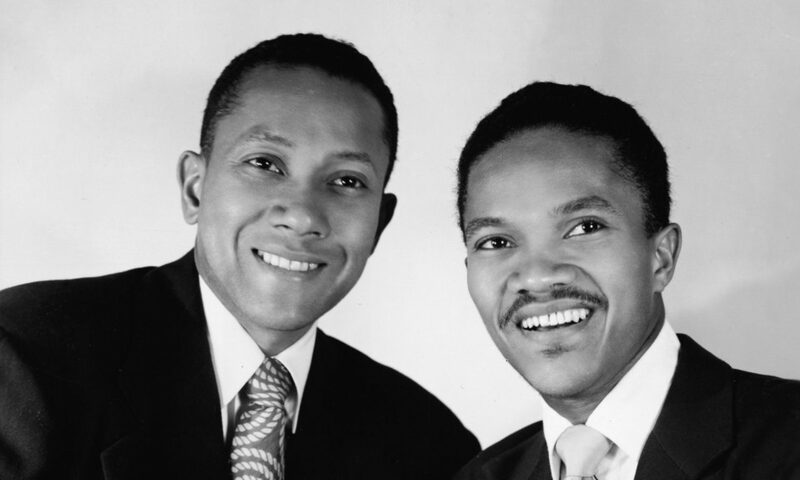 They grew up in Philadelphia where their parents played in the orchestra at the Standard Theatre, a vaudeville house for blacks. The brothers were soon in vaudeville themselves, billed initially as the Nicholas Kids. 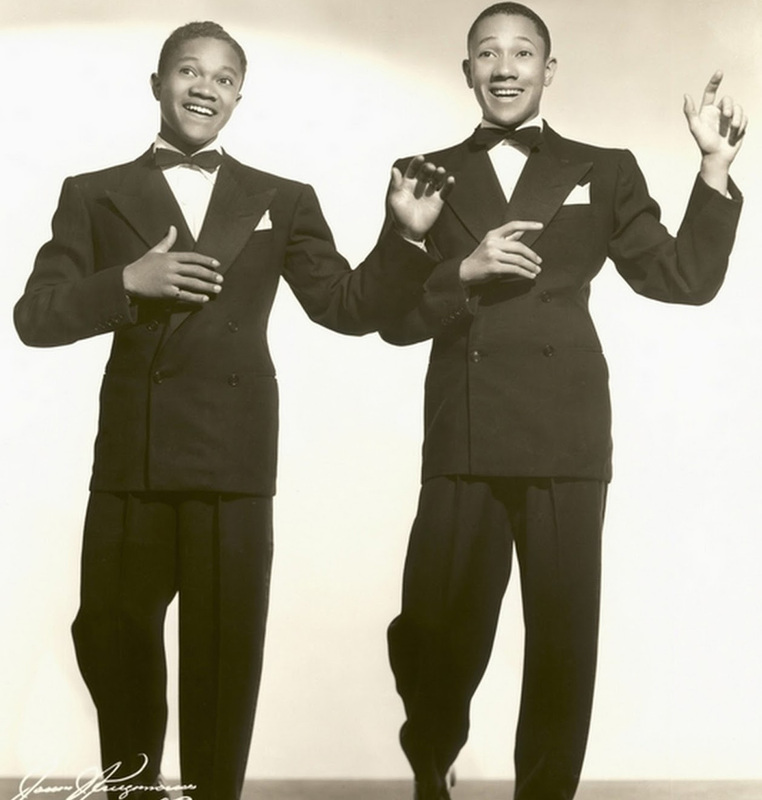 By 1932, they had graduated to the renowned Cotton Club in Harlem, where, for the next two years, they delighted the all-white audiences and rubbed shoulders with great black entertainers such as Ethel Waters, Duke Ellington, and Cab Calloway.